Sitting in the AC Chair car compartment of the train, Khushi was getting restless. It had been more than an hour since she last talked to Arnavji and she wasn’t getting any signal on the phone. She looked around the compartment. There were many known faces who would travel regularly to and fro Delhi and Lucknow. One of them was Mr.Sharma. Khushi and Payal had befriended his wife during one of their journeys. Arnav and Akash too had met them a couple of times. They were an elderly couple, who liked talking to the sisters. The long journey would seem short in their company. But today, Mr.Sharma was travelling alone and so was Mrs.Raizada. Many passengers, including Mr.Sharma, had got down from the train to enquire about the delay. He came back and told Khushi, “Bitiya, looks like there will be a delay of one more hour.” “But why Uncleji? The drunkard was caught long ago, isn’t it?” Khushi asked him. “Yes, but they wanted to make sure that he hadn’t damaged the tracks. Once they finish checking, they will clear the route”, he replied and sat down in his seat. “Oh!” Khushi exclaimed. It was more than two hours ago that a drunkard, in his abbreviated state had created a ruckus on the railway tracks, he had thrown his things around and threatened to mess with the track lines. Due to this, many trains, including Khushi’s, which were to run on those tracks, were halted. The drunkard was arrested immediately, but a special team had to be called to investigate and give clearance to the route to ensure the safe journey of the trains plying on this route. The station platform was filled with passengers of the train. Many were now strolling trying to pass their time. Mobile network was inaccessible. Mr.Sharma had said that there was a big queue in front of the only public telephone on the platform. The station master was busy updating the situation to his authorities on his landline phone. Khushi decided to get down and try to check if she could get the signal from any corner of the station. Though the delay wasn’t bothering her, but not talking to Arnavji, certainly was. She wasn’t worried about the train reaching Lucknow late. She knew that Babuji would be there to receive her. Also, Preeto’s husband had received strict instructions from his boss to ensure that Khushi reached Gomti Sadan safely. So, he too would be there with his vehicle. Now only if she could talk to Arnavji somehow. Khushi started walking towards one end of the platform when she saw the sign of a dhaba through a huge tree. Her mouth watered. She loved the food from dhabas and she could hear the music coming from the place. She enquired a station employee about it who told her that it was just down the station road and some passengers had already made their way towards it. Khushi thought she could take a quick bite and come back in time before the train could leave. Mr.Sharma had got down again and Khushi told him about the dhaba and asked him whether he would like to join her. “No bitiya. I have some food restrictions as I am on a diet. You go ahead. But, come back soon”, he told her. Khushi nodded and walked towards the dhaba, constantly checking her phone for any signal, on the way. The train seemed almost empty now. Most were either on the platform or at the dhaba. Though the delay was getting irritating for some, but it seemed like an unscheduled outing for others. Khushi loved these little adventures. As soon as she reached the dhaba, she heard a familiar voice. “Khushi, tum?” Khushi turned around to find a familiar face. It was the lady at the dhaba on the road to Nainital. “Aap, yahaan? (You, here?) asked Khushi.” Yes, this is my sister’s dhaba. I came to visit her. And what luck, you came here. I am seeing you after so many years, but you haven’t changed at all” smiled the dhaba lady. The two talked for a while and then Khushi ordered her favourite food items which she devoured happily. After washing her hands, Khushi checked for signal on her phone again. The dhaba lady had told her that in the village, which was about 10 kms. away, there was no network problem. But, getting a signal near the station area was close to impossible. Khushi thought if she could stretch a little higher she might get some signal. She held her phone as high as she could. Then, she got onto a chair. A single bar near the signal icon started to flicker on the phone. Khushi felt a sense of achievement. She beamed and climbed onto the table to get a clearer signal. The bar was still flickering. She tried to stretch higher but she lost her balance and fell. She thought she would hit the ground with a thud, but instead, a pair of hands had caught her. She knew very well whose hands they were. She opened her eyes and saw a pair of smoldering ones, staring at her with anger. “Arnavji, you here!”, she exclaimed, surprised to see her husband in front of her. Arnav let out a glare and put her down. “Why weren’t you calling me Khushi? You think this is a joke? Do you know how tensed I have been since morning? And then you say you are going to Lucknow and disappear completely. Do you know what all I’ve been through? You are having fun while I’ve been looking all over for you, worried for you. Now if you’ve had your share of adventures, can we … ?”, Arnav stopped in the middle. He had held her shoulders tightly and now she was grimacing in pain. Arnav quickly left her shoulders. “Kh…Khushi I am sorry. I was worried and I couldn’t find you anywhere. You weren’t there at your seat nor on the platform, I thought … I thought I would never be able to find you again”, Arnav explained. “No Arnavji, I am sorry. I tried to call you but there was no network. Even the last time when I had called you, I had got the signal with much difficulty. I am sorry Arnavji. You had to go through so much because of me,” said Khushi, her eyes welling up. “Shhh … Khushi … whatever happened, wasn’t in either of our hands.Don’t cry. You know I can’t see you crying,” said Arnav and Khushi stopped crying and smiled. Suddenly she realized something. 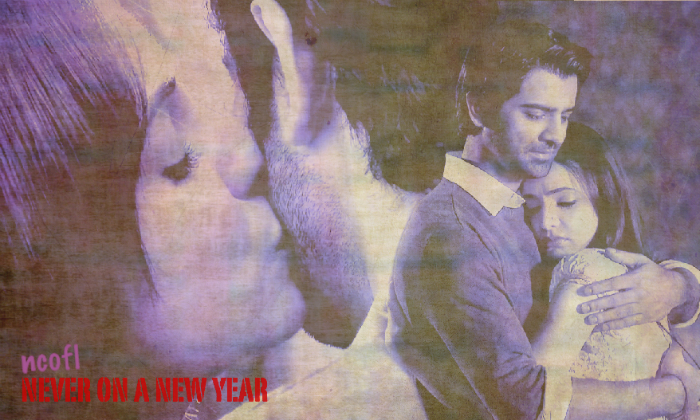 “But Arnavji, how did you know I was here and how come you came here so quickly from Delhi?”, asked Khushi. “Really Khushi? After all these years of being with me? You should have guessed it by now”, said Arnav and pointed towards the open area a little away from the dhaba. Khushi could see the thing she was always afraid of, that udan khatola, the helicopter. She hadn’t seen or hear it coming. She was busy enjoying her food and the loud music at the dhaba. “And about how I found out that you were at the dhaba, there is the reason standing near the helicopter, Mr.Sharma. He is joining us on our trip to Lucknow”, said Arnav. Khushi could see him standing near the helicopter and waving towards her. 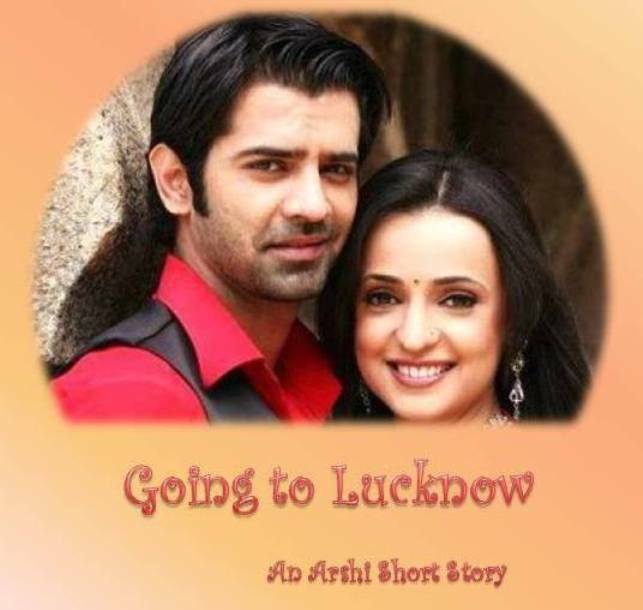 Arnav continued, “So Mrs.Khushi Kumari Gupta Singh Raizada, I am offering you my hand, which you can hold onto, while we fly towards Lucknow in the helicopter. Will you please accept it?’ Arnav asked holding out his hand towards her. Khushi giggled and held his hand. She bid goodbye to the dhaba lady and they both walked towards the helicopter when Khushi suddenly remembered. “But Naniji? Oh I am so sorry Arnavji, you had to cancel your plans with Naniji because of me.”, said Khushi. “Who said? I have only rescheduled my date. I am returning back to Delhi after dropping you at Lucknow. So our plans to spend time with our girlfriends is certainly on”, said Arnav. Khushi laughed and continued walking. But she stopped again. “One minute. What were you saying? You were worried since morning? But how ….”. Before Khushi could finish, Arnav put his finger on her lips. “Shhh … now if you keep asking questions, that train will reach Lucknow before us. Do you want that to happen?’, asked Arnav. Zapped by his gesture, Khushi shook her head in silence. Arnav took away his finger and they both walked towards the helicopter. Needless to say, there was a smirk on Arnav’s face. Khushi and Arnav, both left for Lucknow. lovely update … loved it. loved the story … waiting for more. Awweeee. Such a sweet story. Really an adorable one. Was meaning to read it since long, finally got a chance to do today. Nd loved it. Their plan to spend time with their respective girlfriends is still on..
this is so sweet and cute story..
from the beginning,it’s adorable..his dream, fear, searching for Khushi, her entry to the room, knowing her Lucknow visit, outburst, cooling down, ASR’s rules for journey, family’s teasings, anxiety on non receiving calls..everything is so adorable..ofcourse he wouldn’t be ASR if not he made aman tracking the train and made Preeto’s hubby to keep Khushi safely reaching..
And ofcourse A dabba has to be there for our khushi..the end is so cute..